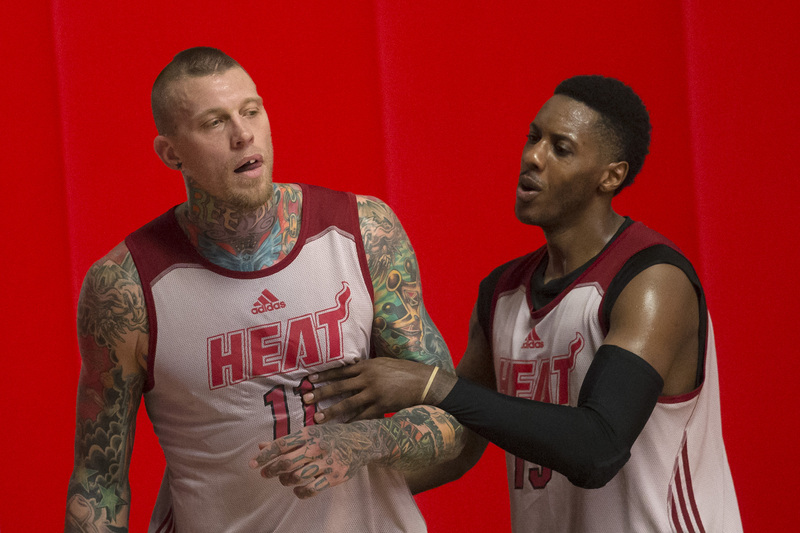 The Miami Heat are preparing for the upcoming NBA season and a spate of rumors and news have been coming out. Chris Bosh made waves when he revealed this week that he hasn’t spoken with LeBron James since LeBron decided to return to the Cleveland Cavaliers. “No,” Bosh said when asked if had talked to James since the decision. As to whether he was looking forward to seeing James on Saturday at the game in Rio de Janeiro, he replied with a lukewarm, “Yeah … I don’t know,” reported ESPN. Still, the two teams are avoiding each other in Rio De Janiero ahead of the preseason game on Saturday. “Perhaps members of the opposing delegations will run into each other at a restaurant, club or tourist attraction. But it sure sounds like any such fraternization would be by chance. For as much as the players on both sides want to downplay it, there’s no missing the chill running between these two teams right now,” ESPN said. 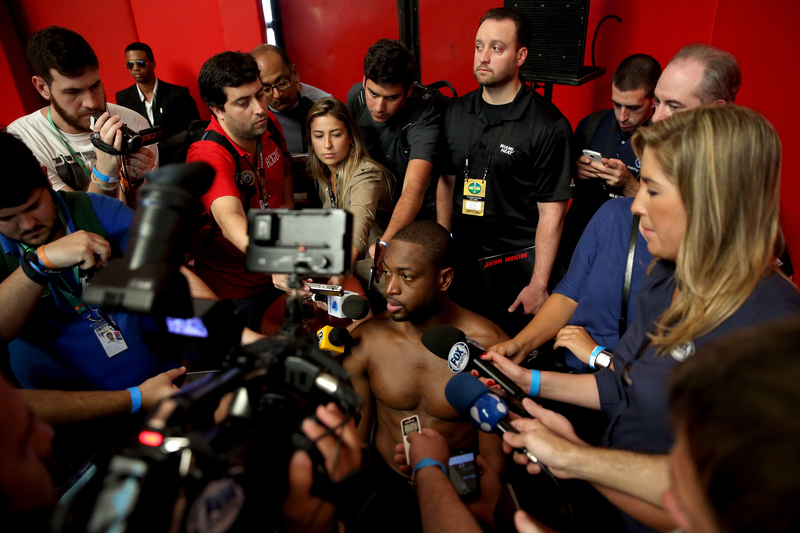 Wade admitted that “it will be good to try and get the weirdness out now” when tthe two teams play. A reader sent in a question to Ira Winderman of the South Florida Sun-Sentinel, noting that Chalmers is trade-eligible in December and pondering whether the point guard could be traded along with either Norris Cole or Shabazz Napier for Rajon Rondo or Ricky Rubio. “The Celtics would expect far, far more for Rondo than just about anything the Heat could offer. Boston would want young prospects and quality draft picks, neither of which the Heat have available,” Winderman said. In response to another question about Chalmers–whether it was wise to re-sign him to a two year, $8 million contract–Winderman noted that the Heat seem to be missing a strong point guard. “On this team, with this roster, the point guard has to inspire confidence, which appears to be dangerously lacking from Mario in seemingly every aspect but his bravado,” he said. After the game against the Cavs, the Heat will return home to face the Atlanta Hawks on Tuesday and the Golden State Warriors on Friday. The Heat will travel to San Antonio to face the Spurs on October 18, play the Houston Rockets at home on October 21, and wrap up the preseason on the road against the Memphis Grizzlies on Friday, October 24. The Heat open the regular season at home against the Washington Wizards on Wednesday, October 29. In the first part of their schedule, the Heat will play the Philadelphia 76ers, the Toronto Raptors, the Houston Rockets, and the Charlotte Hornets. 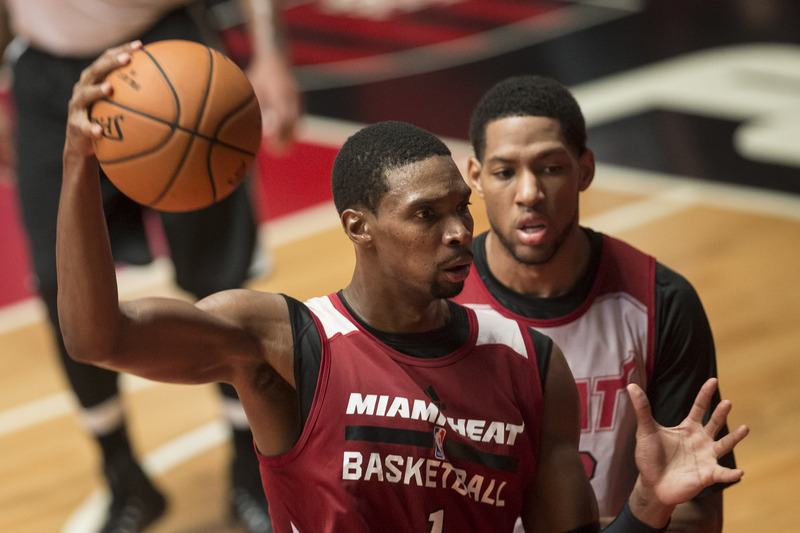 The first regular season meeting between the Heat and the Cavs is slated for Christmas Day at 5 p.m. EDT, in Miami.